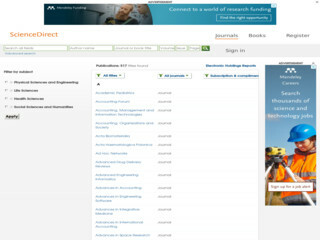 ScienceDirect (Elsevier) is full text scientific database offering journal articles. Library subscribes many e-journals from different packages from Elsevier. We have access to Business Management & Accounting; Economics, Econometrics and Finance, Computer Science and Decision Science.